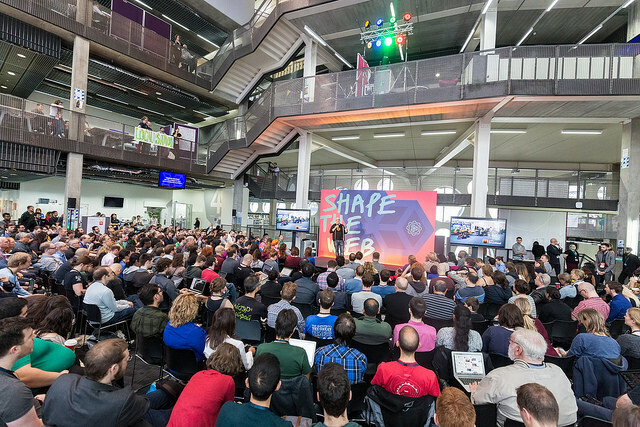 At Mozilla Festival on November 7th, over 1,700 people committed to hacking a better future descend on Ravensbourne College, London. Mozilla, the global non-profit known for the Firefox browser, has a new focus: to fuel the growing movement that will unleash the next wave on Open. As the web has matured, networks have emerged that protect their interests over the public good. Our content, which we usually unwittingly sign over, makes an increasingly smaller number of people richer. Yet in corners across the Web, small fires burn: open education, internet activism, the #indieweb, connected learning, and open data to name just a few. Over the next five years Mozilla wants to fuel these movements. 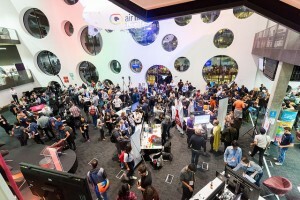 MozFest, now in its fifth year, is one of the most unique places for storytellers, developers, hackers, teachers and activists. 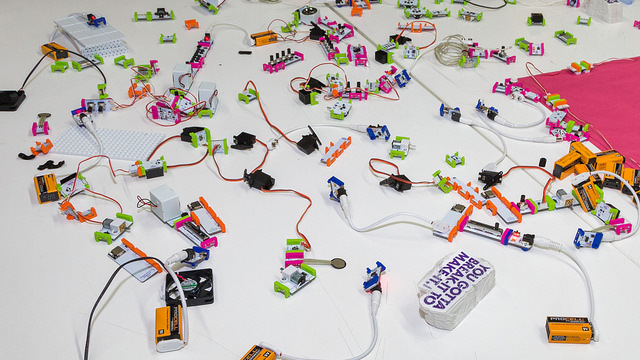 The festival is organized into spaces: Mozilla Learning Networks, open science, journalism and this year ‘pathways’. Attendees chose from over 50 different pathways that would navigate them across the spaces and nine floors of Ravensbourne College. 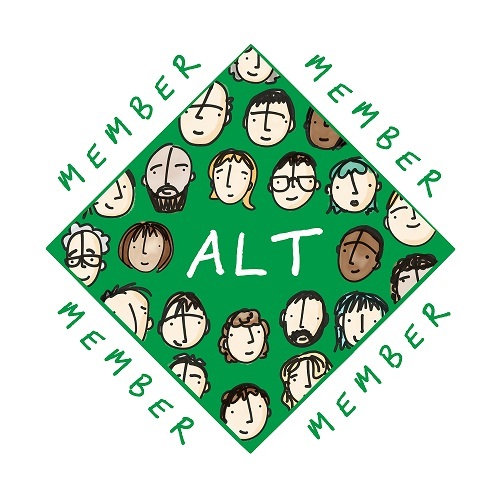 When we see the benefits of living and learning out loud in the open, we see the value of the web as a global public resource that needs our advocacy and protection. We see value in shaping our own space online. The pathways and spaces at Mozilla reflected this core understanding. We need to empower leaders and advocates through products, tools, and people of Mozilla in order to hack a better future. Learners and teachers were not the only people who sought to change the world. Developers were everywhere, which – as non-technical person – was amazing to watch. On the eve of the festival, Mozilla hosted a science fair for developers to show off some of their amazing creations. I walked around the room Periscoping in total amazement. Bill Meinke demonstrated Open Source science, Joey Lee and Richard Smith-Unna live-coded a London Tube Map of all the pathways at Mozilla. There were games, Firefox OS for TV and efforts to preserve languages like Welsh. In the last year, Mozilla has transitioned to GitHub as the major workflow. As someone who works with teachers with little technical experience, getting the on-boarding done right will matter. To see a community need addressed, we need to bring developers and educators together for the next wave of Open, with a focus on web literacy. During my first session I joined a class as they sought to hack together an easier GitHub for product managers who never need to look at code. Two days later I saw them push GitDone from just an intro session on project management with Git. Over the last two years Mozilla Learning Networks has sought to define the skills and competencies necessary to read, write, and participate on the Web. Last year we released Version 1.5 of the Web Literacy Map. Mozilla launched an effort to make the map more approachable and accessible. Led by An-Me Chung, Iris Bond Gill, W. Ian O’Byrne and Sabrina Ng, the draft of Version 2.0 came out – and I accidently stumbled into the session. Seeking a quiet place for lunch, I got drawn into one of the driving pedagogical goals of our time: universal web literacy. One of the biggest discussion points was on the name. For philosophical and for some funding reasons, I think there is an effort to merge the map with 21st century skills. I think that’s a bad idea, because I distaste the term ‘21st century skills’, but also I liked Sabrina’s idea of focusing on the identified skills as leadership skills. I firmly believe that leadership is learning and the next wave of Open will need advocates who empower others. I also joined the developers and designers of Mozilla Learning Networks Thimble to introduce the text and code editor to teachers who had yet to see the tool. Thimble is not only how I #teachtheweb. It is how I learned to write the web. Earlier this year the team launched the next version of Thimble, which supports multiple files, markdown, takes selfies, and includes built-in tutorials. Lead by Kieran Sedgwick and supported by Luke Pacholski, we played around and hacked ideas. Teachers gave feedback on designs and shared curricular tips. This year I was invited to attend MozFest as a Participation Leader. Our goal is to increase involvement across all elements of Mozilla: both Mozilla Foundation (MoFo) and Mozilla Corporation (MoCo). 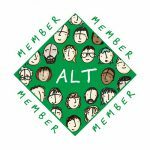 My first goal is to get more storytellers digitally documenting our efforts to tell our own story and shape our own future.